If you have been faithfully following the blog over the last several months, you know that I pay painstaking attention to the many factors that can affect a HIFI audition, whether those factors are the HIFI components themselves, how they pair with others, or the listening conditions (particularly room acoustics). All these factors come together at a given time t to create an experience that I then describe for you. Therefore, a second audition means a whole new experience. At the heart of the Devialet 110 is a technological innovation: an amplification system (ADH – Analog Digital Hybrid) that is both analog and digital. It also features an open software platform, which can be configured and is highly adaptable. 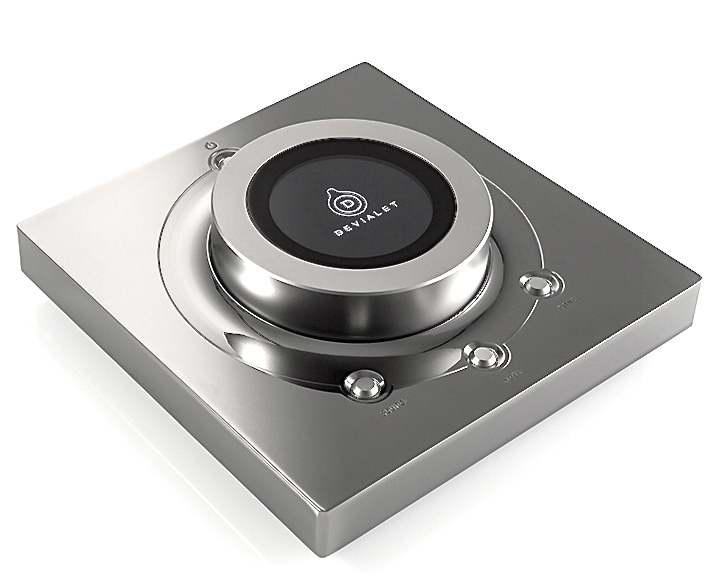 What’s more, Devialet machines feature a multitude of functionalities that can deftly handle a multitude of sources. 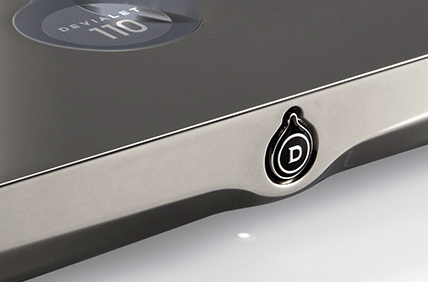 A veteran of audio signal processing, Devialet worked closely with French speaker manufacturer Atohm to fully exploit the acoustic abilities of speakers. For this particular experiment, Devialet chose to go with Atohm GT1s (whose excellent reputation is well established), high-quality speakers that are available for a reasonable price (2,500 € per pair). First, Devialet ran tests that revealed the potential corrections that could be made to broaden speaker frequency range as much as possible. Then, the digital signal processor (DSP) of the amplifier was reprogrammed to send corrective signals to the speakers; a protection system was put in place to prevent any damage to the loudspeakers. 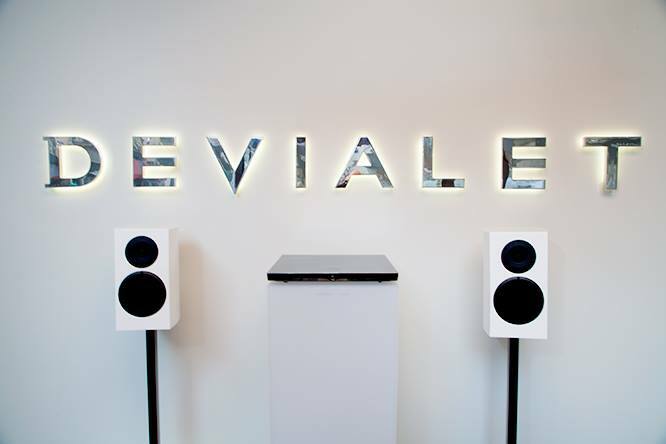 To this end, Devialet and Atohm teamed up to design a system that is more than just unified; it is, in fact, a truly customized set-up. Indeed, Atohm also modified its GT1s for use with this particular system—they are a “special edition” model. So, a few days ago, I settled into La Maison Devialet and spent two hours listening to some of my favorite CDs. 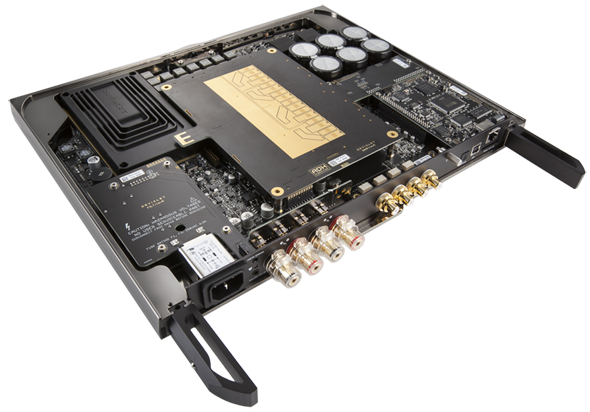 I was using an extremely reasonably priced source: Oppo’s high-quality 103EU universal player (699 €). One last comment: although Devialet’s listening room is vast, it is definitely not an auditorium with overly flattering acoustics that could positively bias the audition. Very quickly, I rediscovered the GT1’s characteristic features: their low directivity and their penchant for very neutral sound, which yields completely uncolored music. There was no mistaking the presence of a Devialet product in the room. Its power reserve was nothing less than impressive, and its efficiency was evident (and at this stage I was not very surprised). Little by little, track after track, the music filled the space around me with an ease that was rather disconcerting, the sound landscape unfolded before my ears, spreading until it could spread no more. My CDs, my close friends, revealed facets of themselves that I had never before heard. It was like I was hearing Paul Bley’s piano solo for the first time, and Pergolesi’s Stabat Mater offered itself up as a benediction for the ears, a moving moment of grace. The dynamic range was incredible, and in the end, the system produced sound that was just right, that was characterized by uncommon trueness. This was especially surprising given how frequently systems tend to go overboard in order to “distract” the listener, which detracts from the authenticity of the sound. I immersed myself in the experience for two hours, all the while remaining conscious of my enthrallment and constantly re-examining my impressions so as to not let myself get carried away; I remained as objective as possible the whole time. The sound of the Oscar Peterson Trio spread through the room, rising up and floating, the extremely low frequencies asserting themselves via their remarkable depth. The precision of the music was apparent. One sound landscape melted into another, and they called to me. The sound was enchanting; the system literally managed to make Bach’s Brandenburg Concertos swing. The music asserted itself, came to life in a rarely seen way; it became almost palpable. In my opinion, this system does not use razzle-dazzle to impress; it was its remarkable precision that most struck me, the beauty of a simple, perfect message. In that moment, I set foot in another world and glimpsed what matters most: music in all its splendor and glory. I exited onto rue de Réaumur and stopped for a moment on the sidewalk to ponder what I had just experienced. Two words came to mind to describe the last two hours: truth and beauty. My impressions of the audition were reinforced and solidified into a certainty: it was the most splendid audition that I have ever had the chance to experience. 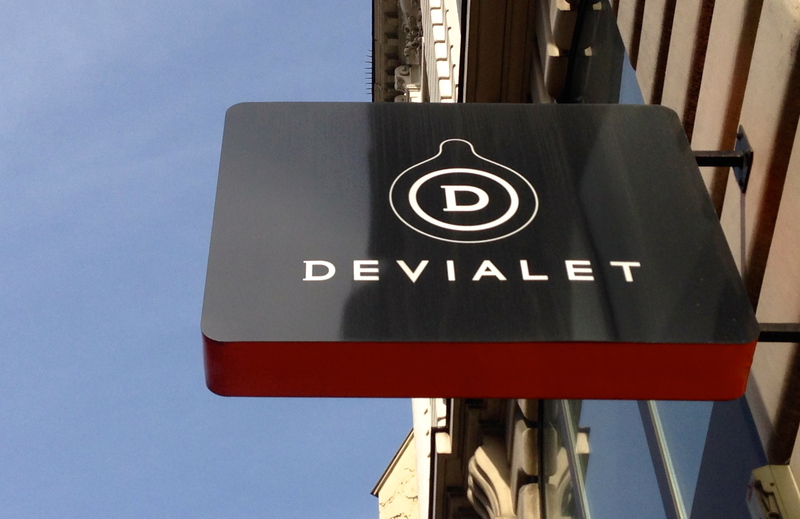 A Final Note : It is possible that some of my readers may be asking themselves some questions given my previous posts regarding Devialet. I just want to remind you that this blog is not beholden to anyone; it does not receive any financial support or money from advertising, and its content is controlled solely by me. I therefore want to clearly state that Devialet did not invite me to do the audition nor did it make any requests of me. My decision to audition the system was entirely my own and was motivated solely by my interest in technology and my intense passion for music. Thanks for your post. I just purchased a Devialet 170 and I am strongly considering the Atohm GT1, thanks to your impressions. Understand your point of view, please read and check all articles of my blog and you will find some demonstration of quality affordable system. This entry was posted on 04/04/2014 by Aublanc in Amplifiers, Coup de coeur, Loudspeakers, Systems and tagged atohm, atohm GT1, devialet, devialet 110, GT1, maison devialet, oppo, zef speaker.